PERSONAL INFORMATION: (The IRS needs to know exactly who's filing and who is covered in your tax return. To do this, you will need Social Security Cards for everyone on your return,photo ID for you &your spouse, dates of birth for you, your spouse, and your dependents﻿ including their relationship ﻿to you. Any documentation brought to your tax preparer must refer to the year in reference. School Information. Provide some document or note from the school the child attends clearly specifying the address where the child lives, the school year attended corresponding to the same year your filing income tax with the child as your dependent and the name of the person authorized to make decisions at the school the child goes to. From the Child's Doctor. If the qualifying child doesn't attend any school, you need to obtain from the child's doctor a note with the same information as specified above. In addition to the documents referred above, you must bring with you to your appointment all of your dependents social security cards including of the qualifying child or children for the Earned Income Tax Credit. If the child lives with only one parent or with no parents you will need to explain the reson for which the other parent or parents are not claiming the credit instead of you. 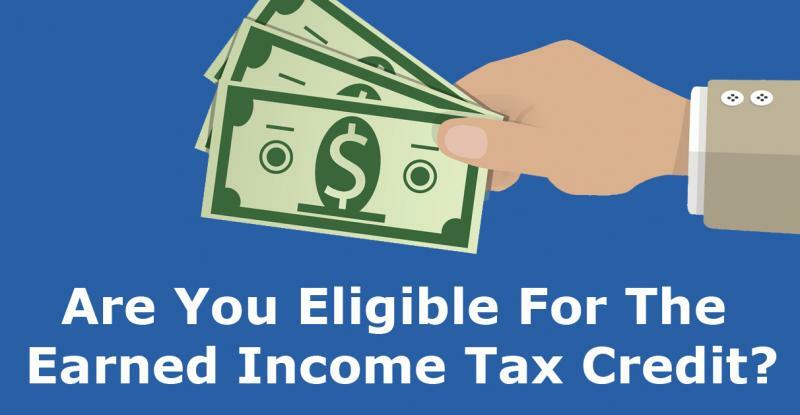 You must have earned income to qualify for the Earned Income Tax Credit. Your income must be on a W-2 or 1099-MISC forms. If you're Self-Employed and on cash based format, the IRS requires that you bring with you a ledger with your earnings and expenses for the year in reference. Social Security income, Disability, Unemployment, Rental Income, Partnership Income and Interest Income are Unearned Income and do not qualify you for the Earned Income Credit. Please click here for additional information and requirements on the Earned Income Tax Credit.